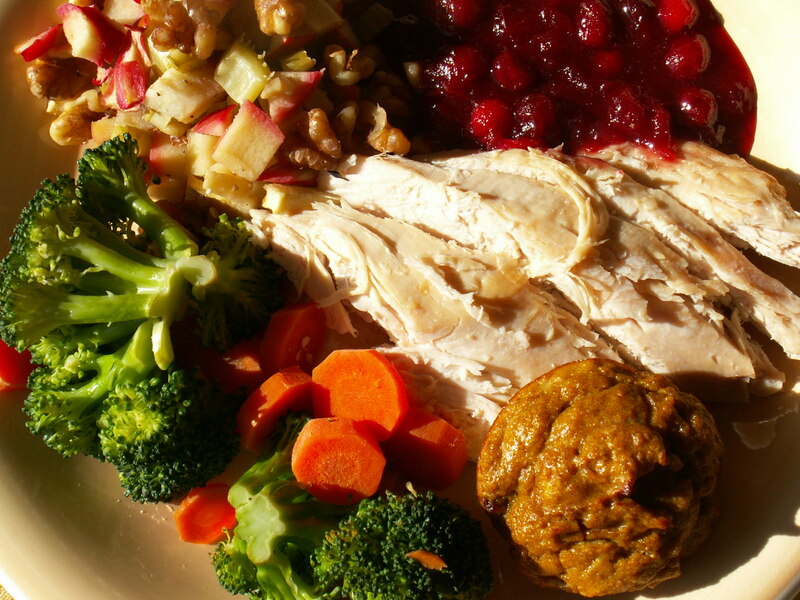 Try this streamlined four-step plan to prepare a holiday meal without gluten and genetically modified ingredients. Diana Reeves, the founder of GMO Free USA, has celiac disease and has been eating gluten free for more than five years. Three other members of her family were diagnosed with celiac around the same time and she went searching for a common environmental trigger. After learning about disturbing research on genetically modified organisms (GMOs) in foods and vitamins, she began avoiding GMOs, too. She experienced what she says was a “transformational” difference in how she felt and became totally committed to eating non-GMO. Her husband and daughters are also gluten free and have joined her in removing GMOs from their diets. Together, as a family, they are among the growing numbers of people who will be serving a non-GMO, gluten-free Thanksgiving meal this year. On Tuesday, November 4th, voters in Colorado and Oregon will head to the polls to decide whether to require foods made with genetically modified ingredients to be labeled – something people who are concerned about what’s in their food say we as a country should have required decades ago. Regardless of whether the Colorado and Oregon measures pass or fail, it’s important not to wait for labeling but to be proactive and opt to become a savvy consumer and avoid unnatural genetically modified organisms (GMOs) in the foods you buy and eat right now. Starting before Election Day – on November 1st – make the commitment to learn how to say no to GMOs in real-life, day-to-day living by following my Eat GMO-Free Challenge. As I explain in Going Against GMOs, we can avoid GMOs right now even though we don’t have mandatory labeling, just as people learned how to avoid gluten before gluten-free labeling guidelines were issued. The complete challenge is listed in Chapter 7 of my new book. But to make the process of learning how to avoid GMOs easier, I will post a tip a day from the Eat GMO-Free Challenge for 31 consecutive days on my Going Against GMOs Facebook page. If you’re a Facebook member, make sure to “like” that page and share it with others. If you’re not a Facebook member, you can still can view that page each day and learn the tips little by little. It all starts on November 1st. 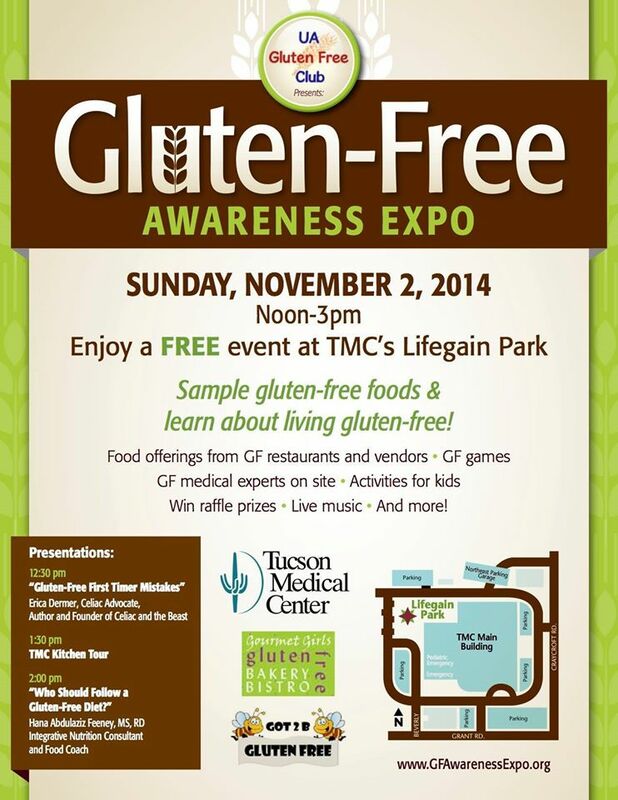 At this free event, you also will receive a goody bag filled with gluten-free resources, snacks, coupons, and more. Plus, there will be other booths giving away samples of food and presenting gluten-free resources, activities for kids, raffle prizes, live music, cooking demos, and gluten-free games. View a flyer about the event here and learn additional information here. Make sure to mark the date on your calendar, and hope to see you there! Sunday, October 19th, 9 a.m. to 10:30 a.m.
At this first book signing event in Tucson, copies of the new book, Going Against GMOs, will be available at a discounted price at the High Energy Agriculture booth, and nationally known nutrition author Melissa Diane Smith, who has spoken about GMOs in the Tucson area for the past three years, will be autographing copies. The book includes the top 10 reasons to go against GMOs, non-GMO shopping and eating out tips, and more than 45 non-GMO (and gluten-free) recipes. Be one of the first in Tucson to get a copy of this definitive consumer’s guide on the topic, and meet and talk with the author! To learn more about the book, read this interview and visit the Going Against GMOs book page. To learn more about the event, see this listing. Influential speaker Deepak Chopra, a 21-time New York Times bestselling author, posted a YouTube video that he called an urgent “call to action” to save the planet from recent developments that threaten the ecosystem of the Earth and our lives. A good part of his video emphasized our need to oppose genetically modified foods and the multinational corporations that create them. “We cannot allow ourselves to be hijacked just by people who make a lot of money,” Chopra says, referring to companies that exploit, alter and destroy the Earth for profit. New Life Health Center, 4841 E. Speedway Blvd. New Life Health Center, 5612 E. Broadway Blvd. The High Energy Agriculture booth at the Rillito and Santa Cruz Farmers’ Markets each week. You also can special-order it at either Barnes & Noble store. Many people wonder why I decided to write Going Against GMOs and what’s covered in the book. Check out this big feature interview in the October issue of Better Nutrition magazine to learn all that and more. I have never liked the idea of eating something that has been genetically modified, but it wasn’t until reading Melissa Diane Smith’s new book Going Against GMOs, that I really started to understand just how harmful these so-called “Frankenfoods” really are. 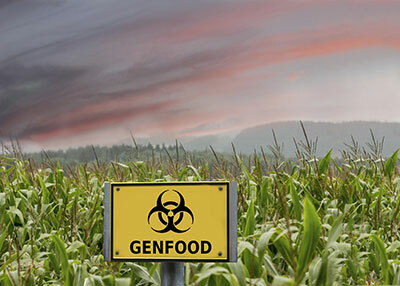 Up until that point, I didn’t understand what genetically modified organisms (GMOs) were—or why I should avoid them. That was gratifying to hear—and exactly why I wrote the book, to make this food topic of our time easy for the public to understand!